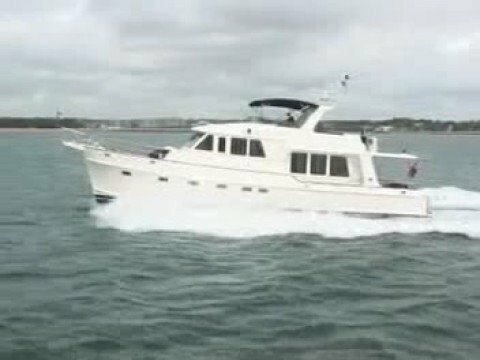 Beautifully appointed and specified for her very experienced owners and looked after by the owners captain, this boat is one of the very few examples available that can be described as 'Immaculate' . Supplied by Boat Showrooms originally and with full history available. Features include - Very flexible accommodation - crew's cabin that sleeps 4 with rear stern access, a forward "V" berth cabin forward, with double infill, plus two separate roll out bunk berths making up to four berths if required , VIP master stateroom and twin berth portside cabin. Large flybridge suitable for entertaining many guests, with increased seat base storage and an additional moulded-in flybridge seat. A very comprehensive inventory of equipment and options fitted. 6/8 berths in three staterooms plus 1 crew's cabin makes a total of 12 berths if required. Day head and laundry plus many factory fitted options that no other 59 Aleutian can boast Ready to cruise just about anywhere having just completed a full maintenance schedule. Performance, luxury, form and function come together in perfect harmony aboard the 59 Aleutian. With her modified deep-V hull the 59 Aleutian can cruise up to 23 knots and beyond without ever sacrificing steady, quiet comfort. Pilot from the lower helm and enjoy sweeping visibility, or from the flybridge, where ample seating and panoramic views create an irresistible setting for you and your guests. Inside and out, the 59 Aleutian impresses with its timeless style, intelligent design and luxurious amenities. Designed in collaboration with renowned navel architects and packed stem to stern with thoughtfully appointed features, the 59 Aleutian represents the Grand Banks cruising experience at its finest. Transom door access to crew cabin from bathing platform. Fridge in cockpit locker .Full deck hardware options. Underwater lights fitted at transom. Shower and bathtub to owners stateroom. Teak decking on side decks, Portuguese bridge, foredeck, cockpit and flybridge. Full canvas package and aft cockpit enclosure. A one stop service Caterpillar engine room including generator. 2 x Electric Stidd seats in pilothouse in leather. Computer input socket in pilothouse for accessing Raymarine "E" series. Padded fabric wall panels in all cabins, companionway fitted with teak panels and mouldings. Direct and indirect lighting throughout. Full entertainment options in all cabins. Luxurious appointed designer interiors. Dumb waiter from dinette to flybridge. Large dinette with seating for six in comfort.Hi specification electronics, safety and entertainment equipment. Impeccably maintained and ready to cruise. Bath tub in Master cabin head with pull out shower head on faucet. Insinkerator waste disposer fitted in sink. A very safe and spacious entertaining area and upper control position with ample seating and sunbathing areas. With barbecue and wet bar.canvas Bimini top leading to boat deck with Williams tender and electro-hydraulic davit. Teak decks around control and seating areas. The Company normally only acts as a broker for the Vendor who, unless otherwise stated, is not selling in the course of a business. Whilst every care has been taken in the preparation of these particulars the correctness is not guaranteed and they are intended as a guide only and do not constitute a part of any contract. A prospective buyer is strongly advised to check these particulars and where appropriate, and at his own expense, to employ a qualified Marine Surveyor to carry out a survey. For full details and viewing arrangements contact hamble@boatshowrooms.com or call Colin Watts on + 44 (0) 2380 458990 or +44 (0) 7831 301815.